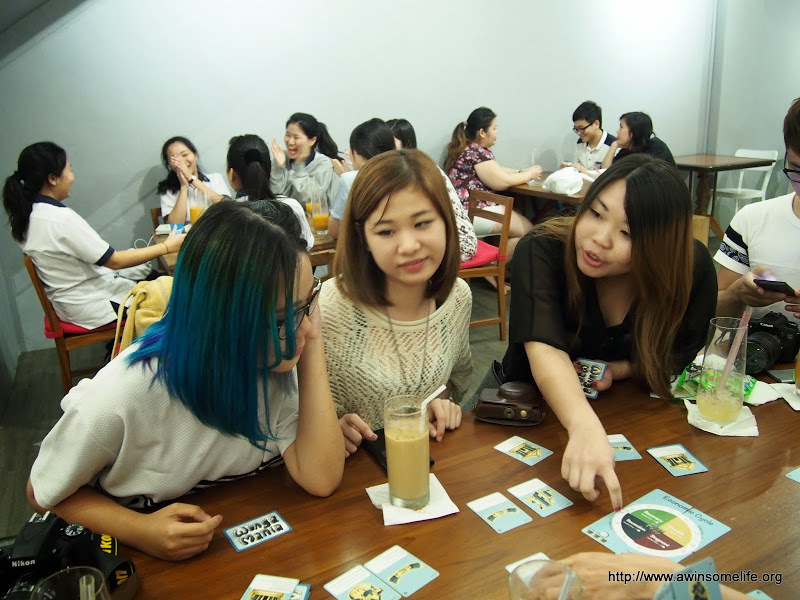 When we are free, we sleep, read or play but some Singaporeans these days play board games. In fact, board games here in Singapore are a favourite pastime. Board games are fun but sometimes players fail to see the creator’s intention. We have here a game designed by a local called Wongamania. 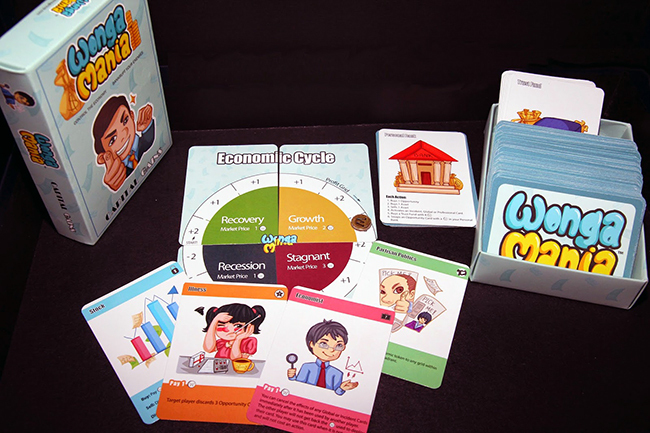 The game’s aim is to help an average Singaporean understand the complicated economic world. It does not end there, the creators want the players to appreciate simple concepts in the realm of personal finance management. Winning is simple. The player only needs to buy at least three trust funds. In the financial world, trust funds include different assets that are projected to deliver benefits to an organization or individual. Wongamania’s goal is to obtain secured assets (in the form of trust funds). In monopoly, players need “money” to purchase assets but in wongamania, the players should balance having “money” and little “opportunities”. This concept can help the players comprehend that sometimes, we have many investment opportunities but we do not have enough money. Alternatively, we have money but find little opportunities. 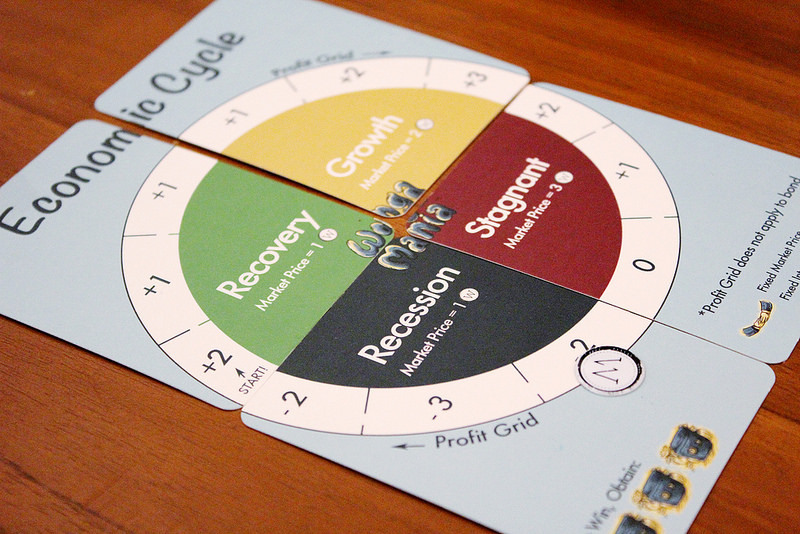 Wongamania also features different economic cycles. These cycles changes how people play throughout the game. For example, in Growth phase, stocks and other assets become attractive but when it hits Recession phase, stocks and other assets are like hot potato. In general, wongamania will give us useful knowledge in the field of finance. With this, we will realize how dynamic the personal finance world could be. Capital Gains Studio created the game and they organized the very first Wongamania Challenge last August 26, 2015.